We mentioned back in July that Antenna TV would be adding Barney Miller and Benson to their fall schedule in September. Today we have some updates and their complete fall lineup, which is effective Tuesday, September 4. Antenna TV, which airs on 65 affiliates across the U.S. reaching 60% of TV households, will continue to include vintage favorites such as Leave it to Beaver, All in the Family, Three's Company, Maude, Good Times and Sanford and Son. Barney Miller and Benson will be airing on Sunday nights starting September 9. Barney Miller, with Hal Linden heading up an ensemble cast, originally aired on ABC from 1975 to 1982 and will air on Antenna TV Sundays at 8-9pm ET/5-6pm PT. 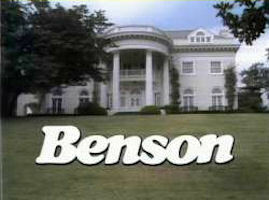 Benson, with Robert Guillaume in the lead role, aired from 1979 to 1986 on ABC, as a spin-off from Soap. 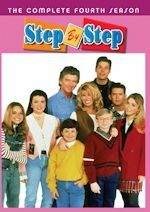 Antenna TV will air the series as back-to-back hours on Sunday nights, with Soap remaining at 11pm-12am ET/8-9pm PT and Benson following at midnight-1am ET/9-10pm PT. Unfortunately, there will only be the two airings of the new acquisitions on Sundays. There will be many time slot changes on the weekday schedule (all times listed below are Eastern). First, there's some bad news to mention. Too Close for Comfort is leaving the schedule entirely. The Ted Knight comedy has aired on the network since its launch in January 2011. Adam-12 replaces it at at 11am-12pm. Dragnet moves up to 12pm-1pm. Hazel will be moving up an hour to 1-2pm. Father Knows Best is back on in the weekday afternoons at 2-3pm. Dennis the Menace and Leave it to Beaver will remain at 3-5pm. Next, c'mon get happy as The Partridge Family returns to weekdays at 5-6pm. All in the Family moves up to the 6-7pm hour. Then we get into primetime and overnight. The 11am-6pm lineup runs Monday-Thursday, as the Black & White Friday Night block moves up an hour to 6pm. Starting with the Monday-Thursday schedule, Three's Company moves up earlier in primetime at 7-8pm. And then there's Maude, which returns to weekdays in primetime at 8-9pm. Good Times moves back a couple of hours to 9-10pm. Sanford and Son moves to 10-11pm. There will be even more Three's Company at 11pm-midnight, as it replaces Too Close for Comfort. The schedule after midnight remains the same with Alfred Hitchcock Presents, The Burns and Allen Show, The Jack Benny Program and Antenna TV Theater. The Black & White Friday Night schedule now begins at 6-7pm with Burns and Allen. It will be followed by double episodes of Jack Benny, Father Knows Best, Bachelor Father, Leave it to Beaver, Dennis the Menace and McHale's Navy. Antenna TV Theater moves up to the 1am hour, so Hazel will no longer be on late Friday nights. On to weekends, starting with Saturdays beginning September 8, Antenna TV Theater will now run until 9am, so that means Here Come the Brides, Iron Horse and Adventures of Tin Tin are leaving the schedule. Totally Tuned In returns from hiatus at 9am. From 10am-1pm on Saturdays will still be E/I programming. The Three Stooges kick off the afternoon schedule at 1-2pm. Adam-12 moves up a couple of hours to 2-3pm. It will be followed by double episodes of Dragnet, The Monkees, The Partridge Family, The Flying Nun, and Gidget (which replaces S.W.A.T. at 7pm). There will now be a three-hour block of It's a Thief from 8-11pm, so Suspense Theater is off the schedule. It will be followed by two-hour blocks of Alfred Hitchcock Presents, The Three Stooges and the '70s/'80s British comedy The Benny Hill Show. On to Sundays, this lineup will start on September 9. 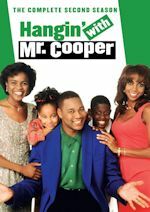 Antenna TV Theater will now run until 1pm, so all of the black & white sitcoms will no longer be on Sunday mornings. Bummer! That was a nice block of good ole' classic tv. The Three Stooges leads off the afternoon schedule at 1-2pm. It will be followed by double episodes of Adam-12, Dragnet, The Monkees, The Partridge Family, The Flying Nun and Gidget. 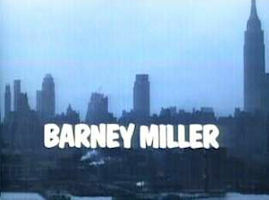 Barney Miller replaces NewsRadio in primetime at 8-9pm. The two-hour block of WKRP in Cincinnati remains at 9-11pm. Super '70s continues with Soap in the 11pm hour. Benson replaces Three's Company at midnight. There's more '70s action from 1-5am. The double episodes of All in the Family, Maude and Good Times remain at the same times, but Leave it to Beaver is being replaced by Sanford and Son at 4-5am. Leave it to Beaver is still getting plenty of the business weekdays, even though it's gone from the weekends. So there you have it, the new Antenna TV schedule! It has something for everyone. 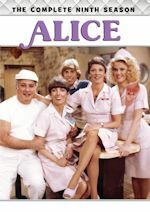 Two new classic sitcoms from the '70s and '80s, many new time slots, and some shows are expanded (such as Three's Company)! 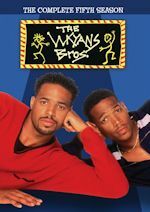 Shows leaving the schedule include Too Close for Comfort, Here Come the Brides, Iron Horse, Adventures of Tin Tin, S.W.A.T., and NewsRadio. View the full Antenna TV Fall 2012 schedule in a list form. What do you think of these changes? Discuss them on our message board. And stay with us for continued updates. We've never covered the announcement of a Survivor cast before, but there's some exciting news to report today. A former sitcom star will be competing for the first time ever! Lisa Whelchel, who played Blair Warner on The Facts of Life from 1979-1988, has been named as one of the 18 castaways of Survivor: Philippines. She has been a superfan of the show since the first episode. Last October, she started a viral campaign on her Twitter feed by posting a video asking for support to help her get on the show. She got her wish to compete this season. The 25th season of the Emmy Award-winning series will premiere with a special 90-minute edition on Wednesday, September 19 at 8:00pm ET/PT on CBS. They have announced 15 of the 18 castaways who will compete for a million dollars. Three of the 18 castaways, to be revealed later this week, are former players who were medically evacuated from the game and are returning to finish what they started. Former MLB player and National League MVP (and star of ABC's 2009 edition of The Superstars) Jeff Kent will also be among the contestants. View the full cast here. Can she outwit, outplay and outlast the others to be Sole Survivor? We're sure she can come up with another one of her brilliant ideas. We'll be rooting for her. Go Lisa!